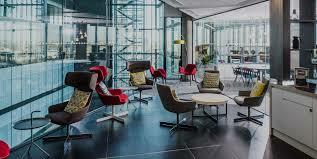 Flexible office space provider Regus will open five new locations in some of the biggest Polish cities by the end of this year. In Warsaw, the company will make available to tenants an additional 4,100 sqm in the Polna Corner (opening scheduled for September), Atrium Plaza (November) and Park Avenue (December) buildings. In Gdańsk, Regus will open an 1,400-sqm office in the Opera Office complex in late September or early October. In September, the company will also open a 1,500-sqm office in Kraków’s Equal Business Park.